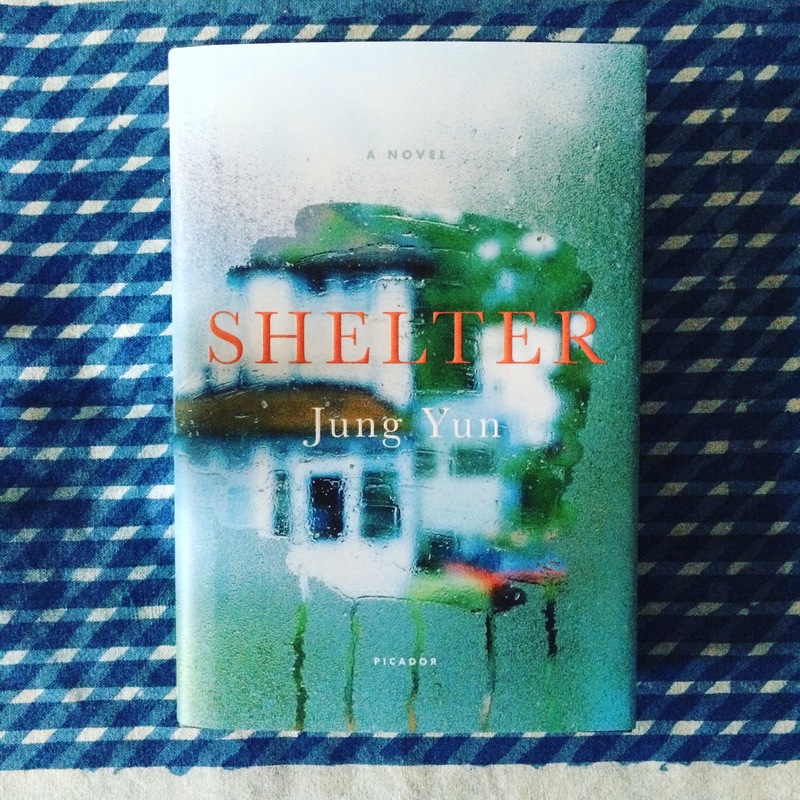 When we meet Kyung and Gillian at the beginning of Shelter*, Jung Yun’s debut novel, they, like many Americans, are struggling financially. They’re pressed by student loan debt, credit card debt, and a mortgage they can’t afford. Their garbage disposal is broken and their four-year-old son, Ethan, wakes up too early. And just as a realtor is telling them that if they sell their home it will be at a tremendous loss, a woman, naked and screaming, appears in their backyard. It’s Kyung’s mother, Mae Cho. This juxtaposition of the ordinary with shocking plot turns is the foundation of Shelter. Ms. Yun invites readers behind closed doors, where we find what is likely to be familiar—difficult family dynamics, strained relationships between generations and in-laws, worry over how to pay the grocery bill—and then what’s hidden beneath that familiarity: abuse, years of façades, and lives slowly falling to pieces. After Mae is taken to a hospital, Kyung, his father-in-law Connie, and brother-in-law Tim discover that Mae, Jin (her husband, Kyung’s father) and their housekeeper Marina have been victims of a home invasion and brutal assaults. In the aftermath, all three come to live with Kyung and Gillian, an arrangement that brings simmering tensions to a full-blown boil. As immigrants, the Chos were isolated in the Massachusetts town where Kyung and his father now teach at the nearby university; that isolation, Ms. Yun suggests, was one of the reasons why Jin’s abuse of Mae, and hers of Kyung, went unchecked. As an adult Kyung is desperate not to revisit his parents’ sins on his son, but this means he’s not sure how to parent him, exactly. And when his parents come to live with Kyung’s family, he’s forced to acknowledge the past every day, when he has heretofore maintained a dutiful but pronounced distance. Kyung shakes his head, aware that they’re falling back into the same old pattern again, the one in which he pities her and tries to help and she treats him badly because she hates herself for needing him. It’s impossible to be near someone like this, someone who brings out the best and worst in him, who punishes his attempts to be kind. For most of the summer, Kyung’s attempts “to manufacture a silver lining even if he runs the risk of suffocating in it” are thwarted by his own anger and a series of plot twists and turns that make this domestic drama read as fast as a thriller. The novel’s focus on Kyung is both a strength and a weakness. It’s a strength because Ms. Yun has created an exquisite character study. Kyung is often unlikable, his actions hard to defend, but the reader is constantly forced to question how much of his life and how many of his choices have been shaped by a childhood completely devoid of love. On the other hand, the focus on Kyung I think detracts from the portraits of the other characters, particularly Mae and Gillian, and the ending focuses on his journey to some kind of redemption, which felt wrong since it comes at the expense of his wife and mother. Nonetheless, this is a searing study of violence as a shaping force in contemporary lives. Recommended. Boston Readers: Jung Yun will be in conversation with James Scott at Newtonville Books on Tuesday, March 22nd, at 7pm. I adore the cover—and it’s a really promising debut! Hmmm…another reviewer mentioned violence. I think you were a bit more forthcoming about the violence. I think I’ll leave this one for others; I’m too much of a wuss. Thanks for sharing your thoughts! It’s definitely not Orenda-level violence, but the fact that it takes place now (about 45 minutes from where I live) does make it shocking. I just submitted my review to Nudge last evening so wanted to pop back for a closer read of yours. I agree with you that some of the characters feel overlooked; I thought Marina was in particular. The Korean-American culture of honor and shame seemed to me like a perfect setting for exploring Yun’s family themes. And I loved that she was able to pull back from violence at the end — the last 10 pages had me in tears. I’m going to have to look up Nudge. And I’m delighted we came to some of the same conclusions.